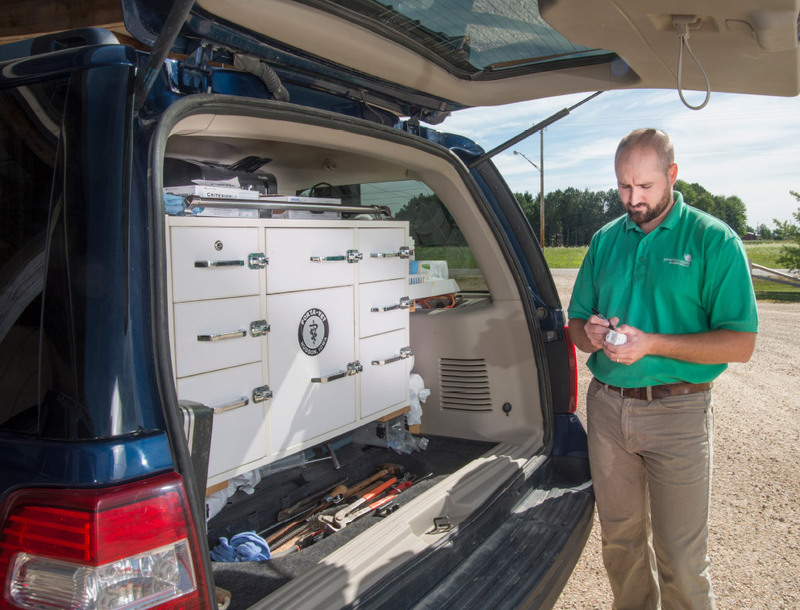 Great Lakes Equine is an exclusively equine veterinary clinic providing routine and emergency care for approximately 2,000 horses within a 150 mile radius. An 11,000 square foot clinic and hospital with surgical suite provides an exceptional atmosphere for more advance procedures and overnight medical cases. 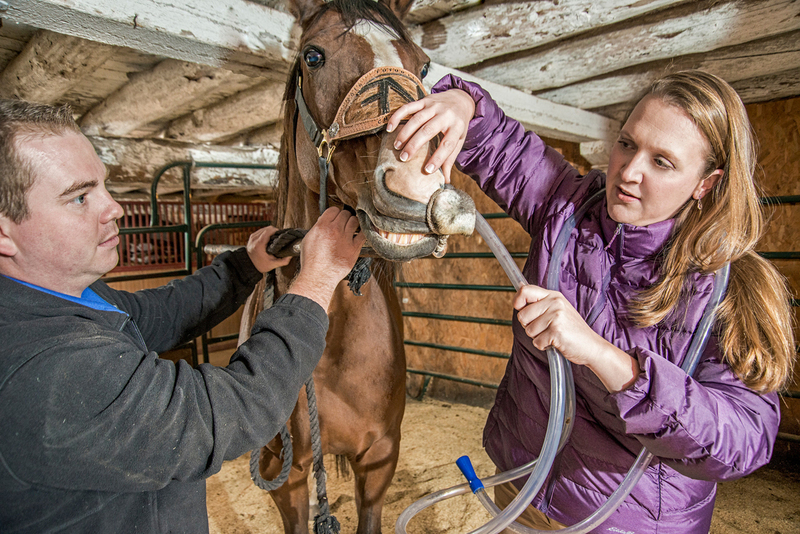 We are a progressive practice offering dentistry, sport horse medicine, lameness and performance evaluations, high-quality internal medicine, reproductive services, wellness care, and alternative medicine. 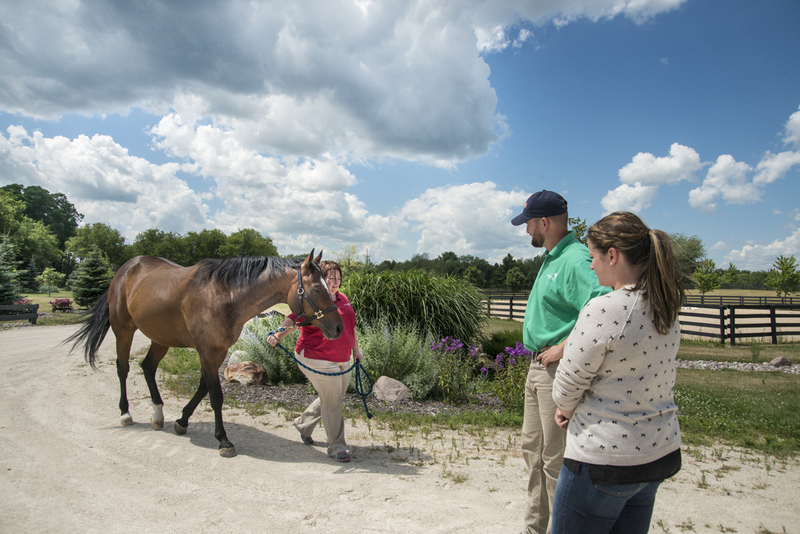 At Great Lakes Equine, our staff is dedicated to providing excellent customer service and compassionate equine care. They love what they do. They step in when and where they are needed. We are proud of who they are and the excellence they stand for. Rob Blohowiak DVM, CVSMT is the owner of Great Lakes Equine. His special interests include veterinary chiropractic and acupuncture, performance enhancement, prepurchase examinations and wellness care. Dr. Rob raises and trains barrel racing horses and competes nationally. He and his wife, Mary, have three sons – Noah 18, Jonah 15 and Fin 11. The whole family enjoys an annual summer camping trip, swimming in their pool and can often be heard belting out tunes from the latest broadway musical or stopping all activity for a family dance break. Dr. 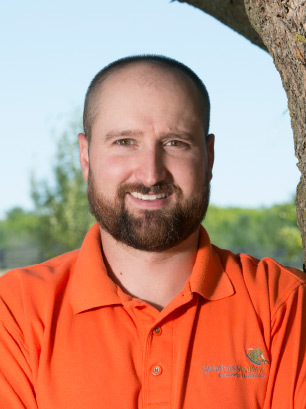 Rob looks forward providing the best in compassionate equine care for Northeastern Wisconsin. 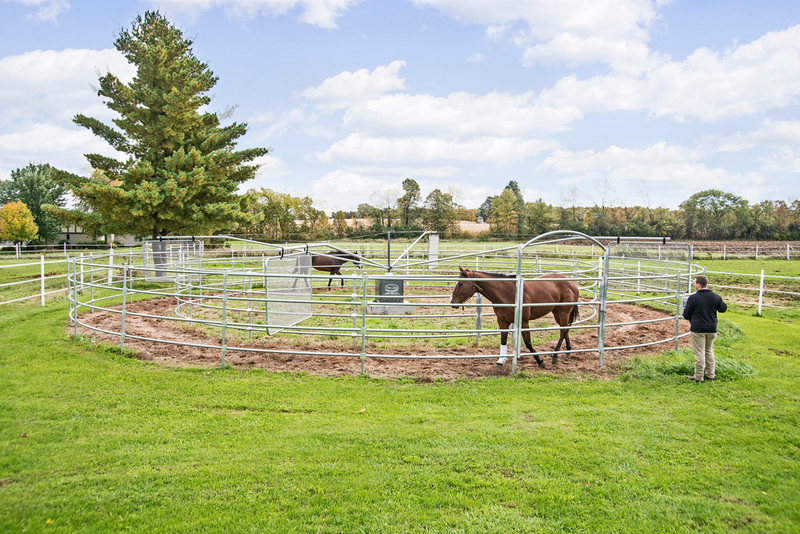 Dr. Diederich joined Great Lakes Equine in January of 2012. She is a graduate of the University of Pennsylvania School of Veterinary Medicine. Following graduation, she was the first American to be accepted into the equine internship program at the École Nationale Vétérinaire d’Alfort (ENVA) in Paris France. While in France Dr. Diederich became proficient at musculoskeletal ultrasonography, learning from the most distinguished specialist in the world, Pr Jean-Marie Denoix. 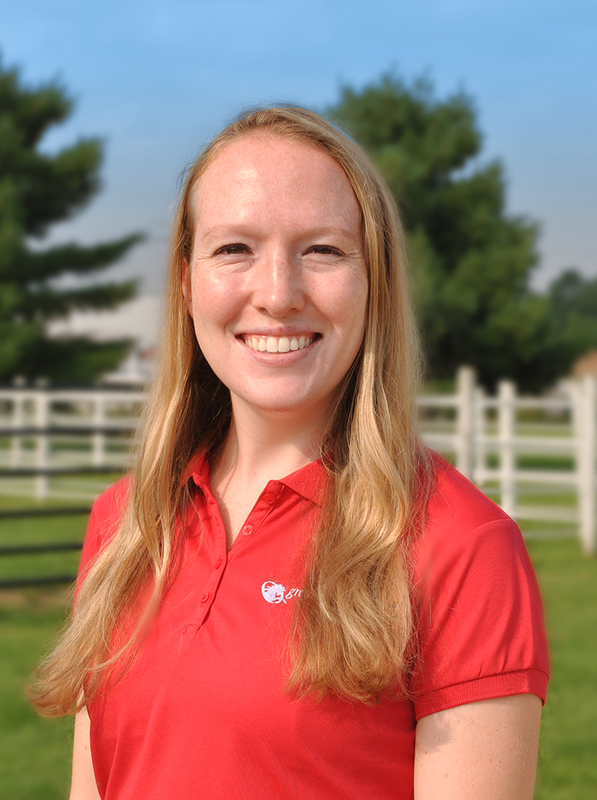 With her experience, Dr. Kate has advanced GLE’s lameness and diagnostic imaging. Dr. Kate and her husband, Ross, have 2 children. In her spare time, she and Ross enjoy spending time at the family cottage. 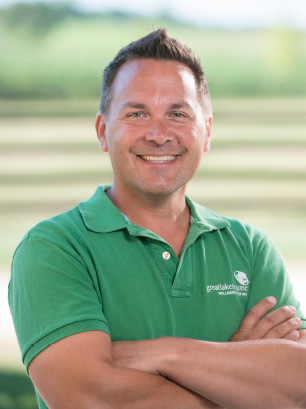 Dr. Adam is a 2007 graduate of The Ohio State College of Veterinary Medicine. He completed a surgical internship at Hagyard Equine Medical Institute in Lexington, KY, where he worked closely with top surgeons and internists. 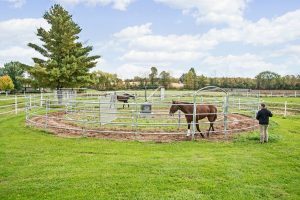 He continued to a sport horse/racetrack practice near Columbus, Ohio where he worked with farriers and veterinarians on foot-specific ailments. Thus, his focus on equine podiatry was born. 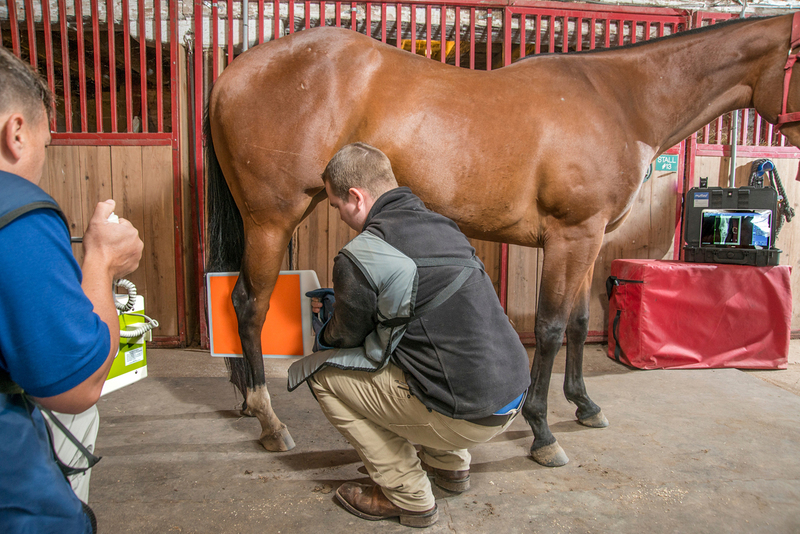 Dr. Adam joined Great Lakes Equine in 2012 and continues to specialize in podiatry and lameness as well as general practice. In his free time, he enjoys fixing up his 1800’s farm with his wife and two young boys, with the assistance of their two dogs, four horses, and one cat. 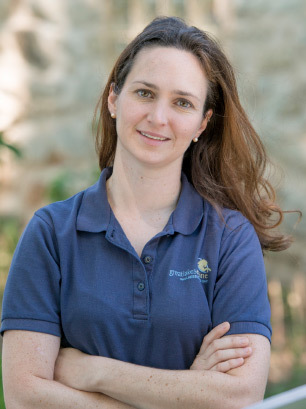 Dr. Liz Odyniec is a graduate of the University Of Illinois College Of Veterinary Medicine. Following graduation she completed an internship at B.W. Furlong and Associates in New Jersey, where she worked alongside several of the country’s most prolific sports medicine practitioners. Dr. Liz then honed her skills further by traveling between New Jersey and Wellington, FL to complete a Sports Medicine Fellowship under Dr. Brendan Furlong. 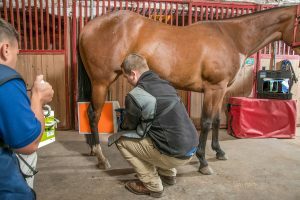 While there she obtained her FEI Permitted Treating Vet certification. 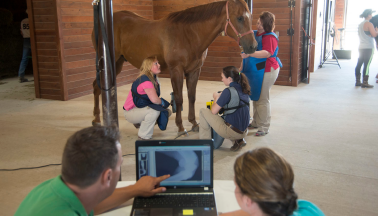 Her professional interests include lameness and poor performance issues, diagnostic imaging, and injury rehabilitation, as well as ophthalmology and wound care. In her free time Dr. Liz likes to stay active by riding her warmblood, Stanley, or hiking with her husky mix, Odie. A native of the Chicago suburbs, she is also an avid Chicago sports fan – especially the Blackhawks! 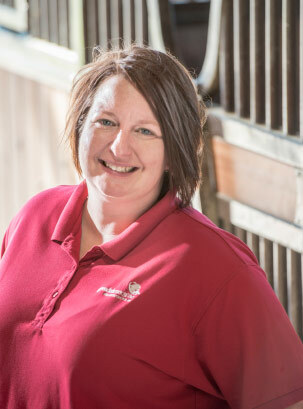 Heather Thorn is our Practice Manager; she has been with Great Lakes Equine for 11 years. 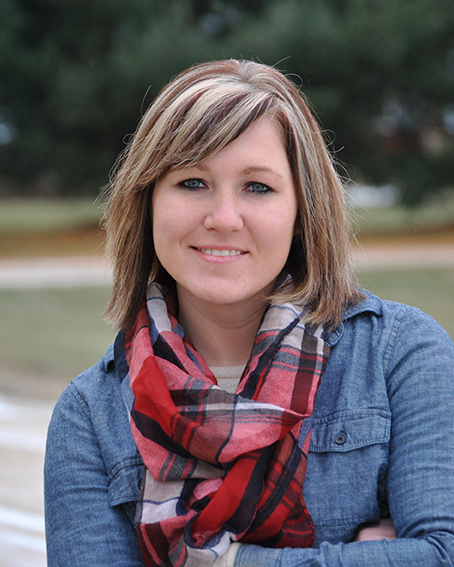 Heather graduated from UW River Falls with Bachelor of Science degrees in Animal Science (equine emphasis) and Broad Area Agriculture, she also has her Bachelor of Liberal Arts degree in Psychology (business emphasis) from UW River Falls. When Heather is not at work, she enjoys working on projects around their property in Iola, travelling the countryside and trout fishing with her husband Rob. Heather and Rob have a cat named Digger and a horse named Solveig. Solveig is a 22-year-old Norwegian Fjord. Beth joins the GLE team as Administrative Assistant in June of 2017. She is a graduate of Concordia University with a Management and Communications Degree. 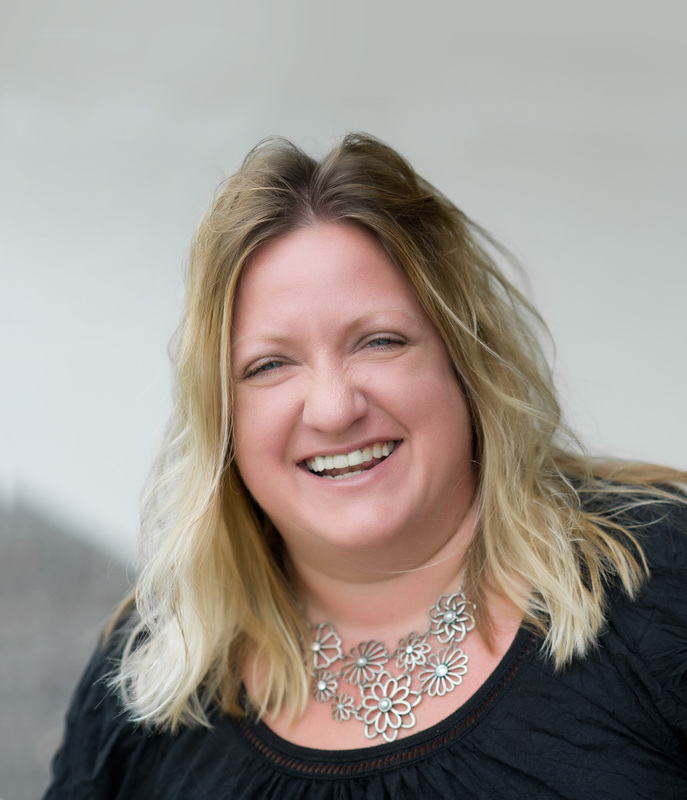 With a passion for customer service, Beth looks forward to meeting clients and working close with the GLE doctors and team. Beth has been involved with horses for over 42 years and is actively involved with a local dog rescue. When Beth is not at work or busy with the rescue, she enjoys tending to her furry children at home: a 32-year-old TB, a 30-year-old QH, 2 sassy minis, 5 barn cats, 2 dogs, 2 foster dogs and 2 house cats. 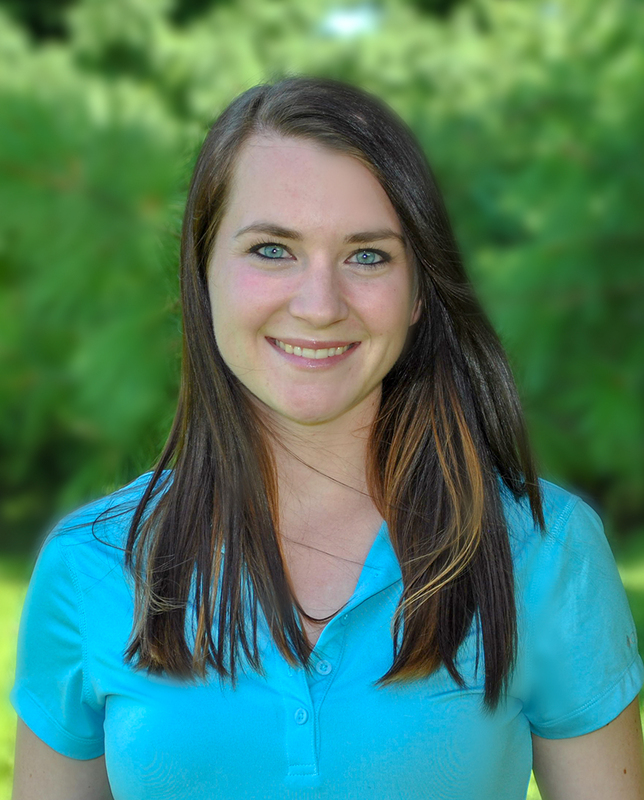 Kelsey Upchurch joined GLE as a Veterinary Assistant in May 2018. She graduated from St. Norbert College with a degree in Communication and Business Administration. Outside of work she enjoys singing, reading, watching movies and performing in community theatre. At GLE, we value client education! We have several opportunities for education. Sign up to learn about educational events and seminars throughout the year. We also send out an informational email every month. Don’t miss out on the tips and articles our doctors want you to know.